Well, it finally happened. I’ve turned into my mother. Deep down I’ve known this since I became a mother just over eleven years ago… I just wouldn’t admit it. Which is silly. Because being even just a little bit like my mother is a good thing. In fact, I strive daily to be like my mom. We’ve always had a good relationship, especially after I became an adult. My mom is my best friend. What the what? Eyes in the back of her head? So I never even tried to do anything I shouldn’t, since I knew she’d know about it as soon as I did it anyway. Sheesh. Okay, I’m giggling right now as I remember this and how I felt when I finally realized that my mom had tricked me. Sly one, that mom of mine. What’s even funnier is, I say the same thing to my son. He truly believes I will know everything he does. I think he may suspect the truth now, but he’s believed this for so long that it’s hard to let it go. I know all too well how he feels. When I think back on my childhood, I have the most wonderful memories of time spent with my mom. 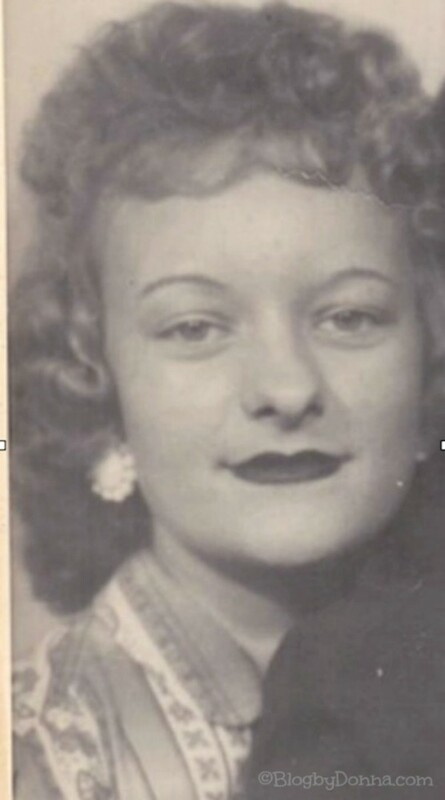 She was a strict mom (and I am so thankful she was), but she was always fair. I loved to be in the kitchen with her. Some of my favorite memories were in the kitchen. Whether it was helping her cook or bake, or just watching her — I loved watching her — it was a special time just between the two of us. I would mimic what she did as she was preparing a meal. I remember feeling like such a big girl. Just like mother, like daughter. Now, my son likes to hang in the kitchen while I prepare meals. He helps a lot, but I’ve noticed he likes to do his homework at the kitchen counter when I’m cooking. I secretly like to think he’s doing this because like me years ago, he loves watching me. Whatever the reason, I love it. He loves making his own fresh juice. We love it, because it’s healthy for him. He likes baking, especially cookies. I just love having him in the kitchen with me. Check out the video above to see another “Like Mother, Like Daughter” relationship. It really doesn’t matter whether your a mom to a daughter or a son, there’s nothing like that mother, child relationship. 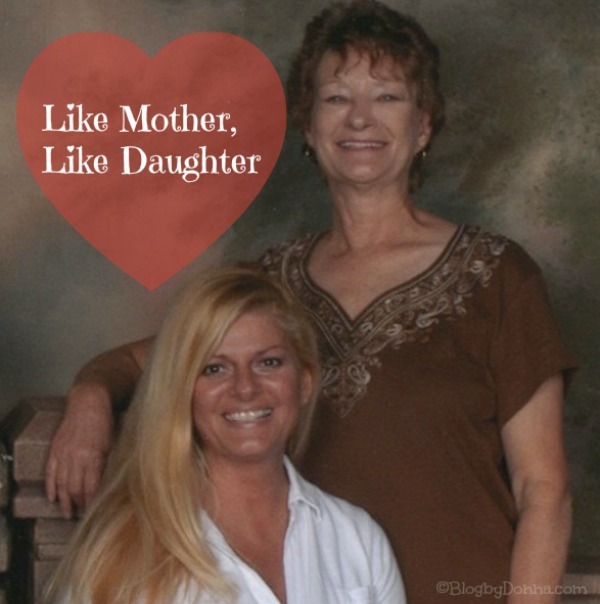 Do you have a special “Like Mother, Like Daughter” memory? This is such a sweet and touching post. You and your mom are just gorgeous. Your son indeed respects you a lot and loves learning from you. Nice post, Donna! My childhood is filled with wonderful memories that always involve my mom. I was a pretty rowdy teen and that really dampened the relationship between me and my mother during that time. Now that I’m an adult, and a mother myself, we’re ridiculously close and speak every day. Love her so much! It’s amazing when we become parents how many things we do as parents our parents did. I guess that is why they say parents know best. I think we all do a lot of the things our parents did just because we grew up with it. What a sweet post! You and your mom are two beautiful ladies. I always thought I would never be like my mother, but guess what I am!! LOL My daughter is just like me it just passes down the line doesn’t it? What a wonderful mom! I can see why you admire and respect her so much. I definitely have been turning into my mother it seems! Nice to see such a well attached family. The relationship between a mother and her son is such a special one. You two are so cute! I agree with you so much! I am becoming my mother, and I couldn’t be happier! Except when I see my girls turning into mini mes! I love that you see how you did stuff with your mom and see the same relationship with your son now! I love when my oldest tells me that stuff reminds her of me. Memories are being made and that makes me smile! I swore that I would never be like my mom but my hubby says I am EXACTLY like her! That was a beautiful post, Donna. I am A LOT like my mother – and I am not sure I want to be in some ways! But there are other things I like about resembling my mom. What a great photo of you and your mom. You all look a lot alike. Sweet post. My son also loves the kitchen and juicing his favorite making eggs. Becoming like our mother is something we avoid when we are younger. As we get older, we find out we are more like her than we want to think, and its not so bad after all. I’m only 21 and already feel like I’m turning into my mother, love it! Love the pics you look just like your mom and daughter! My mom and I are very close and luckily growing up she was close to her parents a we only lived a few minutes drive form them. The mother child relationship is so special and it’s so amazing to see it come through your kids. My oldest is 20 and I catch so many things he doesn’t even realize are just like me or my husband that he does. I’m also happy to have some things from my mom, sometimes I wish I had more. 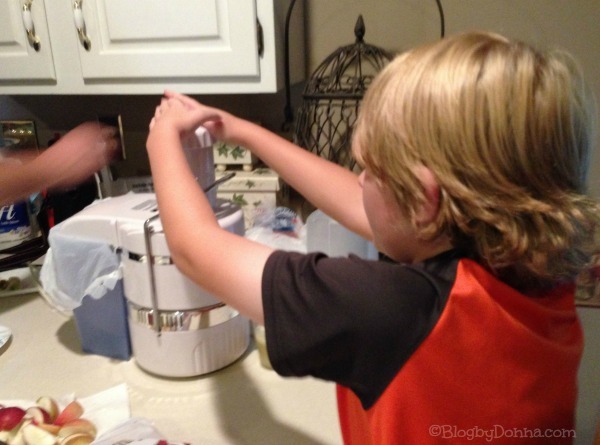 I love that you’re teaching your son to feel comfortable in the kitchen – he’s really going to appreciate that as he gets older! I am a lot like my mother and my daughter is a lot like me though she has some of daddy in her too. It is such a wonderful feeling and like your son my daughter LOVES to be in the kitchen and much more than I do LOL. Aw such a sweet post!! I love it, you all look so happy together!! I hope if I have a daughter or son one day, I will have that sweet relationship with them!! I will always remember my mom always being there for me – no matter what. 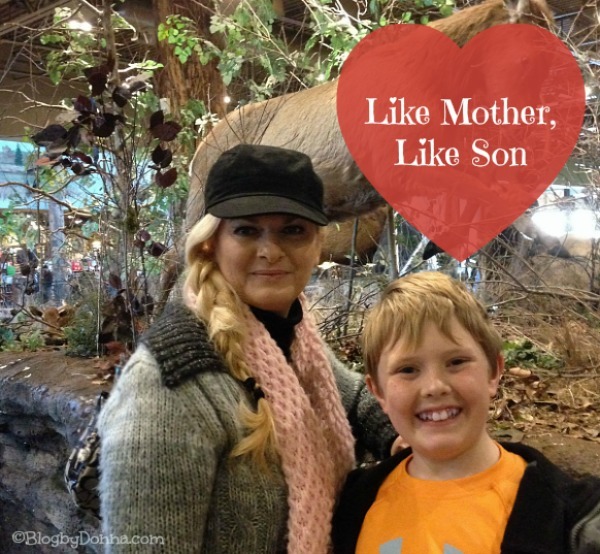 Thankfully I am the opposite of mine….I am a good mom! You look like a great mom too! I call my child a variety of other names until I get the right one! My mom used to do that all the time! Adam, Tristan – Hunter! What a wonderful tribute to your mom. My mom was just always there for us. When we came home from school, on summer vacations and she was involved with us. I have lots of great memories of growing up and she’s the reason. I am a lot like my mom, and I have so many memories of those moments. I am sure I will have more to come. It’s so sweet to hear about your special mom memories and relationship. I have some of them with my mom in the kitchen too. It really IS the heart of the home, isn’t it? I love this post! My mom and I are alike in so many ways that it’s almost scary! I used to dread being like my mother and now being like her is the highest compliment I could receive! My mom & I had a pretty tough relationship growing up but now that I’m an adult & a mom, we’re really close. So sweet that you all had such a good relationship. I love my mom to death, so is my absolute best friend and we have had some amazing memories together. I would be happy to turn into her one day. This is such a sweet post — how fun that you all have the kitchen and cooing to connect you. I definitely have a lot of my mother’s habits and qualities too – the good and the bad, lol. I LOVE that you included your photo. There is nothing quite like the mother-child relationship. I definitely feel like I’m turning into my stepmom some days and I couldn’t be turning into a better person haha! & I love sitting and talking to her as she’s making dinner.